INTERVIEW - VR Karts - Use a Potion! At EGX 2015 I got to have my first taste of VR – I loved it. I was a little on the fence originally; there’s been so many fads in gaming that have come and go, what’s to say that won’t happen with VR? After trying it out I can safely say VR is amazing and it’s definitely here to stay. The first game I had the privilege to try on VR was Viewpoint Games’ racer VR Karts. I’ve always been a fan of karting games so there were high expectations going into my demo with VR Karts and fortunately it met them. What a great game. What’s more, the game was set up not only with a VR Headset but with a steering wheel and pedals too; if there was ever a game that was going to fully immerse you in the experience this is it. Not only is it really enjoyable to play but it looks fantastic too. It’s definitely something both VR and racing fans should check out. I also got a chance to get a small interview with developer Neil Campbell at EGX about VR Karts and its development. 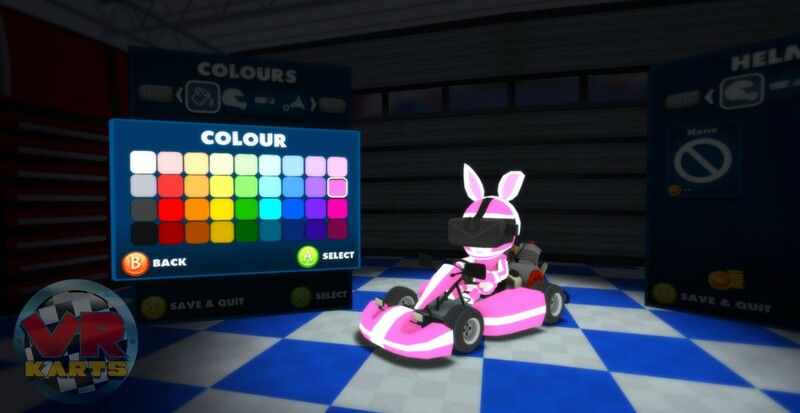 How long has VR Karts been in development? We’ve been developing VR Karts for about a year now. We started prototyping a number of different games and a karting game just seemed to be the most fun so we continued from there and made what we’ve got now. So the main feature of VR Karts is the virtual reality aspect – what do you think VR brings to the racing genre? 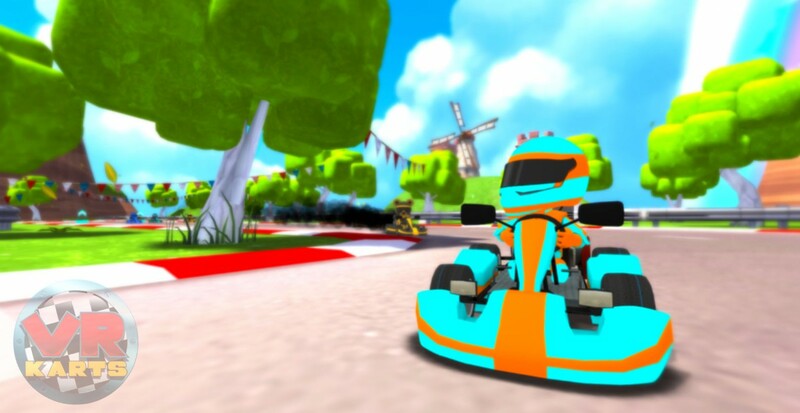 The fact that you are actually in the car in the actual game shows so much gameplay compared to the average racing game. The fact that you can look behind you and see cars overtake you or see the cars that you’re overtaking is so immersive and just so much better. The use of weapons is popular in karting titles and I got to see a few in the demo I tried – what sort of weapons will we be seeing in the final release of VR Karts? So we’ve got a few more weapons that we’re going to release in a couple of weeks time, we’re still working on them at the moment. A few weapons in the game now include homing missiles, a reverse weapon that flips your steering, a stinger weapon and mines to hit racers behind you if you’re in front. I’m a big fan of the cartoon styled graphics of the game with both the racers and environments looking very charming. How many environments will we be racing across in the final release? In the final release we’re doing two environments both with eight tracks each so that’s a total of sixteen tracks. Even within those environments there’ll be a lot of variation; already in our current environment you’re out in the open or you could be in a castle while in our new environment there’ll be dark sections and more bright sections too to really mix it up. 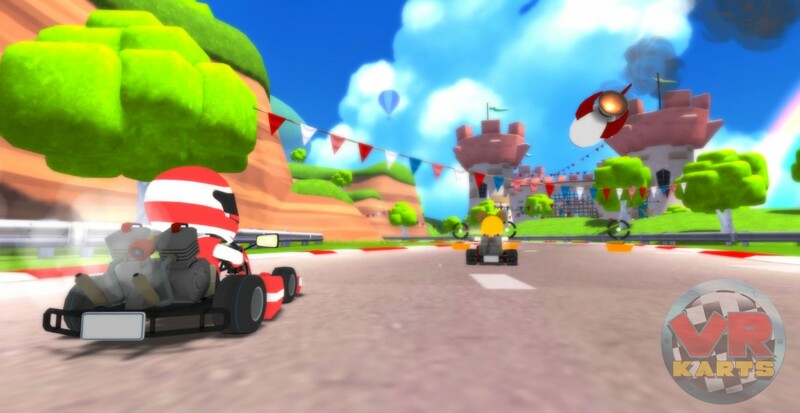 Finally, when will we be seeing a full release of VR Karts and across what platforms? 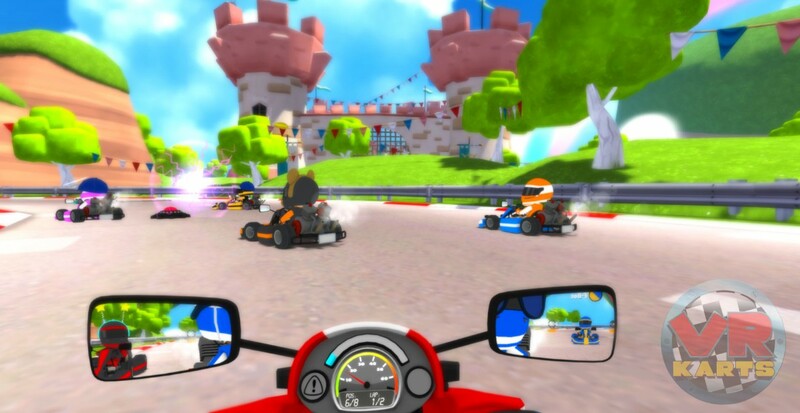 VR Karts is out now on Steam Early Access, you can buy it for £9.99. It’s also on Google Cardboard and Samsung Gear VR. We’re continuing to develop VR Karts and will be releasing it as a full product for the launch of Oculus Rift. We’d love to get it on Playstation VR but that’s still to be decided. 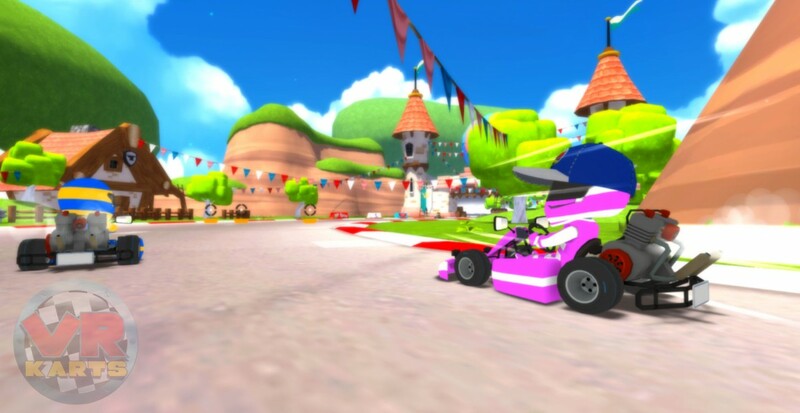 VR Karts is being brought to us by Viewpoint Games – check out more on the official VR Karts website!